We focus on expertise and quality, combined with innovation, efficiency and creativity to give a unique twist to your event or travel experience. We focus on your company’s business culture to design and personalize teambuilding programs and incentives. And we link the activities to the local destination to create an enriching and learning experience for your team. Design, art, theater, gastronomy: we have infused Italy’s excellence in our most successful events to achieve our client’s business objectives in terms of brand reputation, incentive and corporate entertainment. In creating your consummate corporate event, let our team inspire your colleagues, partners, and customers with an authentic view of Italy. Springtime or fall, vintage or chic, countryside setting or elegant city… We work side by side with you to bring about your dream wedding in Italy. Eager for a special itinerary that ventures off the beaten path? Enjoy Italy’s top sights and best kept secrets – with an authentic, local twist. We blend quality and authenticity into every one of our endeavors. 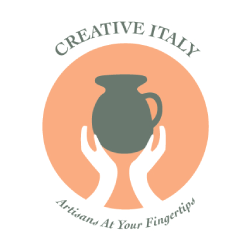 Let us creatively delight you and your guests with the beauty of Italy. In search of a destination with captivating landscapes, history, art, delicious regional cuisines, fine wines, and charm? Italy has it all – and more.